The troubles and suffering in this world are caused by sin—the breaking of God’s holy, good and beneficial laws. Jesus Christ was willing to give His life to save us from sin’s death penalty. His sacrifice was the first step in God’s plan to save us from sin and death, and it makes all the other steps possible. But how does God want us to respond to that awesome, merciful sacrifice? Would He be pleased, having broken us free from enslavement to sin (as the Israelites were enslaved in Egypt), to have us willingly go back to sin again? Or would He much rather have us learn to look at sin as He does and to strive with His help to avoid it at all costs? The Feast of Unleavened Bread comes immediately after the Passover and teaches us lessons about how we should respond to Jesus Christ’s gracious sacrifice. After years of harsh slavery in Egypt, the people of Israel were overjoyed to leave Egypt during the Feast of Unleavened Bread. Egypt and its leader, Pharaoh, serve as a symbol of sin and Satan. But soon Pharaoh pursued the Israelites, trapping them at the Red Sea. He didn’t want them to be free, just as Satan doesn’t want us to escape from his clutches. Israel was helpless, as are we. Our strength is not sufficient. But God provided the Israelites a way to escape—directly through the Red Sea! And He offers us a way out through His miraculous help. The apostle Paul explained that the Red Sea served as a type of baptism, the beginning of the conversion process made possible by God’s help (1 Corinthians 10:1-4). 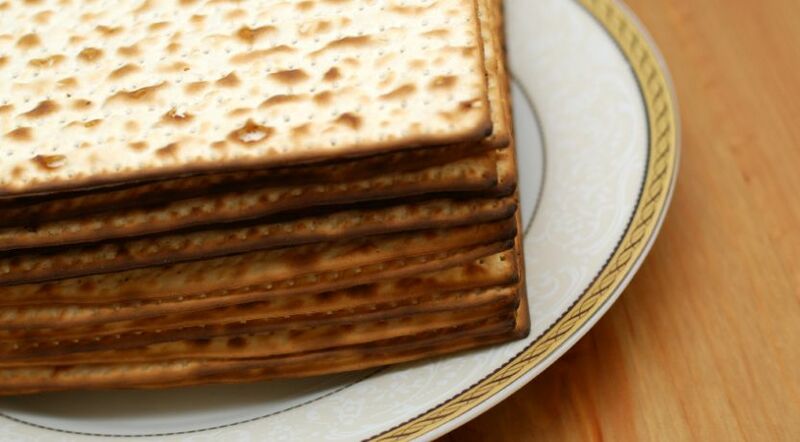 The Feast of Unleavened Bread gets its name from the requirement to get rid of and avoid leavened bread and eat unleavened bread for these seven days (Exodus 12:15). During this time leaven is used as another symbol of sin. Leaven is an ingredient that produces fermentation or a chemical process to make dough rise. Leavening includes yeast and chemical leavening agents, such as baking powder, baking soda (sodium bicarbonate) and potassium bicarbonate. Leavening can be found in such things as bread, cookies, cake, crackers, cereals and pies. Since leaven typically puffs things up, it is associated with that root of many sins, pride. Some of the other spiritually damaging sins that leaven pictures in the Bible are malice, wickedness, hypocrisy and wrong teachings (1 Corinthians 5:8; Luke 12:1; Matthew 16:11-12). Yeast also spreads and permeates the dough unseen. Paul used this characteristic to point out the danger of sin to the church in Corinth, probably during the Feast of Unleavened Bread: “Your glorying is not good. Do you not know that a little leaven leavens the whole lump? Therefore purge out the old leaven, that you may be a new lump, since you truly are unleavened. For indeed Christ, our Passover, was sacrificed for us” (1 Corinthians 5:6-7). Removing leaven from our homes gives us an object lesson in the work and challenge involved in removing sin from our lives. Hard-to-find leaven reminds us that we need to carefully examine our lives for sin, repent and seek God’s help to remove it. Removing leaven from our homes gives us an object lesson in the work and challenge involved in removing sin from our lives. Hard-to-find leaven reminds us that we need to carefully examine our lives for sin, repent and seek God’s help to remove it. In addition to putting out sin, we are to replace it with good thoughts and actions—symbolized by the eating of unleavened bread. Paul continued his letter to the Corinthians this way: “Therefore let us keep the feast, not with old leaven, nor with the leaven of malice and wickedness, but with the unleavened bread of sincerity and truth” (1 Corinthians 5:8). Paul’s clear statement to the Corinthian Christians, “Let us keep the feast,” should answer the critics who consider these wonderful and meaningful festivals to be out-of-date or only for the Jews. He also clearly shows the need to remove the bad (malice and wickedness) and replace it with good (sincerity and truth). We are to prepare for the Feast of Unleavened Bread by removing physical leaven and spiritual leaven—sin. During the festival, the focus shifts from ridding ourselves of something to taking in or “eating” something. The clear instruction for those seven days is to learn the spiritual lessons of eating unleavened bread (Exodus 12:14-20; 13:6-7; Leviticus 23:6), which is symbolic of living sin-free just like Jesus Christ. We are to eat of “the bread of life,” as Jesus explained in John 6:27-63. So, the Feast of Unleavened Bread is a time to concentrate on putting the righteousness of Jesus Christ (the true “bread of life”) into our lives (Galatians 2:20). Naturally, the more we do that, the more sin will be kept out. To overcome sin, we must “not be overcome by evil, but overcome evil with good” (Romans 12:21). In other words, the more Christ is living in us and the more we are living righteously, the less opportunity there will be for the leaven of sin to find a place in our lives. Living by—eating fully of—the unleavened bread of sincerity and truth is the key to purging out the “old leaven” of sin. But though our response to sin should be vehement repentance, a desire to “sin no more” and to put on righteousness, we discover quickly that we can’t do it on our own (2 Corinthians 7:10-11; John 8:11; Romans 7:23-25). We must have God’s help. The Feast of Unleavened Bread reminds us that submitting to our Deliverer is the only right response to Jesus’ gracious sacrifice. We are not saved by good works, yet we’re “created in Christ Jesus for good works” (Ephesians 2:10). A thankful, forgiven Christian will seek His help to not return to the slavery of sin. The next step in God’s plan of salvation is pictured by the Feast of Pentecost.